Each year the University offers a small number of Prize Scholarships to the very best PhD applicants. These scholarships are open to applicants in all subjects. You can read about some of our current University Prize Scholarship holders on our current scholarship holders page. a Research Training Support Grant of £2,000 per year for study visits, conferences, books, consumables and equipment. These scholarships fund up to three years full-time or six years part-time study, subject to satisfactory progress. Part-time studentships are paid at 50% of the full-time rate (i.e. £8000 stipend, £1000 support grant per year). You should be applying to start your first year of study on a full-time or part-time PhD with the University in the 2013-14 academic year (i.e. after 1st August 2013, exact start date to be agreed with your supervisor/ department). Closing date for 2013-14 entry is 1st February 2013. Please note that some departments may have independent deadlines for particular research projects, which may be earlier than the scholarship deadline. 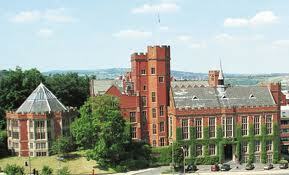 Demikianlah informasi mengenai University Prize Scholarships, University of Sheffield, UK semoga berguna bagi anda.